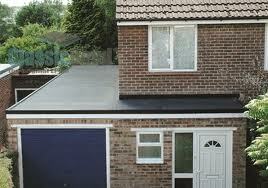 Roofs are integral components of every house. They not only protect the integrity of the whole structure but also enhance the aesthetic appeal of the house. Many owners, however, fail to notice them until a problem crops up such as leaks. The traditional reasons people choose a particular roof are its durability, affordability and appearance. However, in some areas a fourth element should also be considered in choosing roof paint color—the attraction of pests. Pests can negatively impinge the way you use and enjoy your property. They may also affect the integrity of your house. While different kinds of roofing materials are available in the market, the colors that you choose for your roof could deter any potential pest infestation. Of course, since each insect has its own unique behavior and affinity to colors and shades, you have to adjust your roof colors depending on your local pest problem. Bees and wasps are by nature attracted to brightly-colored flowers. The brighter the flower, the more bees and wasps are attracted to them. However, they tend to ignore light colors and pale shades. A research in China on a specific wasp species shows that yellow or green traps are the most effective. This study confirms earlier thinking that bright colors attract bees and wasps. If you are having bees and wasps problems at home, change your roof color to light or pale shades. Whiteflies, aphids, scales and other insects locate plants through visual cues, including colors. They gravitate toward any source, such as plants, giving off the brightest light. Yellow is a major component of light reflected from plants. Studies reveal that objects reflecting light in the 500 to 600 nm range are attractive to insects. If you find your home attracting these types of pests, simply remove the yellow color of your roof for some other colors. House flies are attracted to near-ultraviolet light and blue light. On the other hand, UV-reflecting surfaces or those with green-yellow reflectivity repel them. If your pest problem consists of house flies, paint your roof green-yellow to repel them or coat them with UV-reflecting materials. Unfortunately, while yellow repels house flies, bees and wasps are attracted to it. Experienced hikers believe biting insects are attracted to dark colors such as black and blue. This confirms tests that wasps and bees interpret dark colors as natural predators and are more inclined to attack. Painting your roof black does not appear to be a good idea insofar as repelling pests is concerned.